Nicholas Wylde releases two amazing ‘Wylde Workshop’ vouchers for the Bristol and Bath stores Autumn Promotion. Nicholas Wylde is an award-winning company with over 30 years of experience under our belt. With many supportive and loyal clients, much of our business comes from recommendations. The Wylde Motto is “If we can’t do it, no one can do it”. FREE Flower Bouquet up to the value of £65, delivered to the recipient of commissioned jewellery. 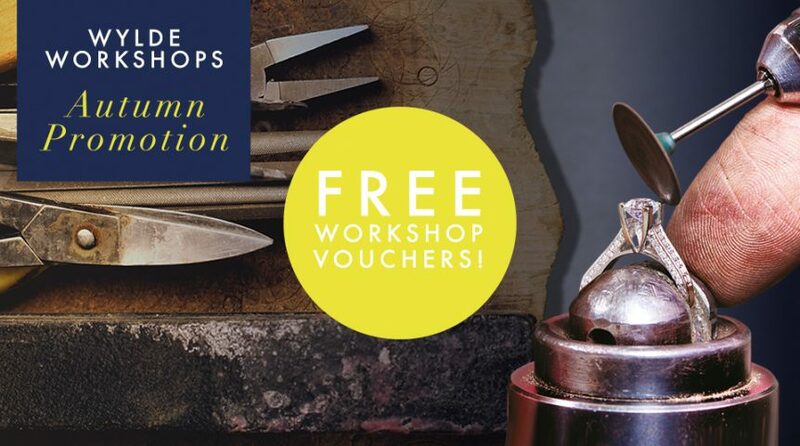 Complimentary £20 Voucher towards any repair at our Bath & Bristol workshops. Vouchers are no longer available to download. Downloaded Vouchers are still redeemable in November.